With the fantastic roster of major exhibitions that the V&A puts on, it’s often hard to remember that they have a perpetual series of smaller shows that remain unadvertised except for the darkest recesses of their website. 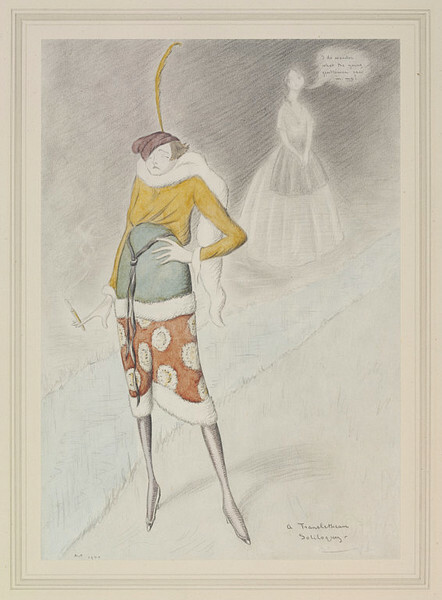 ‘Fashion Fantasies: Fashion Plates and Fashion Satire 1775-1925’ was one of these, inhabiting a small, dark room at the far end of their prints collection until mid-January this year. 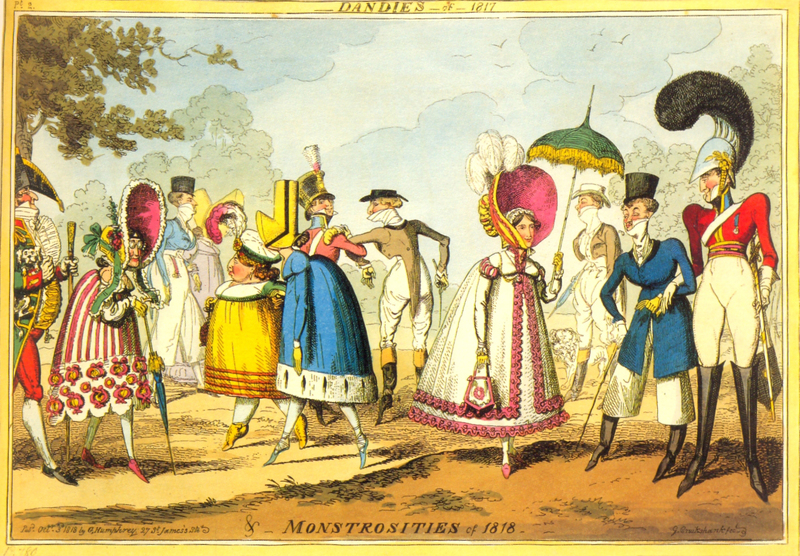 The exhibition, though tiny, had a great range of prints ranging from Georgian genius such as Cruikshank’s ‘Monstrosities’ (see above), to the ‘Translethean Soliloquy’ by Max Beerbohm that satirised the louche behaviour and dress of the early 1920s.